2 images. 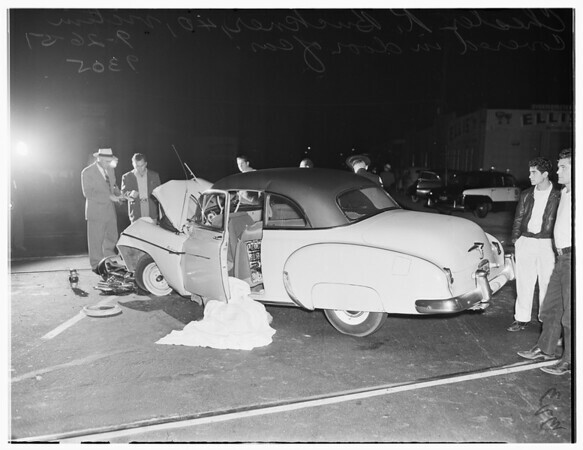 Auto versus train...East Washington Boulevard, 26 September 1951. Chester R. Buckner, 40, victim.